Ocwen Financial Corp. said it is under investigation by the Federal Trade Commission, which has asked the mortgage-servicing company for information about its employee training, debt-collection practices, loan modifications and foreclosure procedures. The Atlanta company, one of the largest home-loan servicers in the U.S., received a formal legal request from the FTC for documents in late November, Paul Koches, executive vice president and general counsel at Ocwen, said in an interview. Ocwen is “fully cooperating” and is “not accused anywhere of any wrongdoing,” he added. “We are taking it as informational and are providing the [requested] information,” Mr. Koches said. In a securities filing Monday, Ocwen said it had received a “civil investigative demand” from the federal agency. A fund run by J.P. Morgan Chase & Co. is in talks with Twitter Inc. to take a minority stake in the rapidly growing microblogging company, people familiar with the matter said. The investment, which is expected to value Twitter at more than $4 billion, will be made from the bank’s new $1.2 billion digital growth fund, these people said. Exact terms of the potential deal couldn’t be learned. Discussions between J.P. Morgan and Twitter are continuing, and there is no guarantee a deal will be struck, the people added. J.P. Morgan also has purchased a significant amount of Twitter’s shares on exchanges for private-company stock, separate from its talks for a direct stake in the company, said a person familiar with the matter. The White House will propose a path to wind down and eventually eliminate Fannie Mae and Freddie Mac and specify a range of options to replace the mortgage companies that have played a central role in the housing market for decades, according to people familiar with the matter. The Obama administration is due to release its proposal for the future of the nation’s $10.6 trillion mortgage market as soon as Friday, outlining steps to gradually reduce the government footprint in the mortgage market. Together with federal agencies, Fannie and Freddie have accounted for nine of 10 new loan originations in the past year. The administration is likely to outline three proposals, assessing the merits and drawbacks of each. The most conservative would recommend that the government play no role in the mortgage market beyond existing federal agencies. Two others would create a way for the government to backstop part of the secondary mortgage market, a role long filled by Fannie and Freddie. Under one, that government backstop would kick in primarily during periods of market stress; under the other, the government would play a role at all times. Steps to reduce the federal role would likely increase home buyers’ borrowing costs, adding pressure to still-fragile housing markets. Consequently, analysts believe any transition could take years and would be increasingly driven by the pace of the housing market’s recovery. OKEECHOBEE COUNTY, Fla.—Patsy Campbell could tell you a thing or two about fighting foreclosure. She’s been fighting hers for 25 years. The 71-year-old retired insurance saleswoman has been living in her house, a two-story on a half acre in a tidy middle-class neighborhood here in central Florida, since 1978. The last time she made a mortgage payment was October 1985. And yet Ms. Campbell has been able to keep her house, protected by a 105-pound pit bull named Dodger and a locked, rusty gate advising visitors to beware of the dog. Ms. Campbell’s foreclosure case has outlasted two marriages, three recessions and four presidents. She has seen seven great-grandchildren born, plum real-estate markets come and go and the ownership of her mortgage change six times. Many Florida real-estate lawyers say it is the longest-lasting foreclosure case they have ever heard of. The story of how Ms. Campbell has managed to avoid both paying her mortgage and losing her home, which is currently assessed at more than $203,000, is a cautionary tale for lenders that cut corners and followed sloppy practices when originating, processing and servicing mortgages. Lenders are especially vulnerable in the 23 states, including Florida, that require foreclosures to be approved by a judge. Ms. Campbell has challenged her foreclosure on the grounds that her mortgage was improperly transferred between banks and federal agencies, that lawyers for the bank had waited too long to prosecute the case, that a Florida law shields her from all her creditors, and for dozens of other reasons. Once, she questioned whether there really was a debt at all, saying the lender improperly separated the note from the mortgage contract. She has managed to stave off the banks partly because several courts have recognized that some of her legal arguments have some merit—however minor. Two foreclosure actions against her, for example, were thrown out because her lender sat on its hands too long after filing a case and lost its window to foreclose. Ms. Campbell, who is handling her case these days without a lawyer, has learned how to work the ropes of the legal system so well that she has met every attempt by a lender to repossess her home with multiple appeals and counteractions, burying the plaintiffs facing her under piles of paperwork. Fannie Mae and Freddie Mac have terminated their relationships with a top Florida foreclosure law firm and began taking possession of loan files on Monday afternoon from the firm, which processes evictions on behalf of the mortgage-finance giants. Fannie and Freddie had previously suspended all foreclosures that had been referred to the law offices of David J. Stern in Plantation, Fla., a suburb of Fort Lauderdale. Freddie Mac took the rare step of removing loan files after an internal review raised “concerns about some of the practices at the Stern firm,” a Freddie spokeswoman said. “We have begun taking possessions of all files on Freddie Mac mortgages simply to protect our interest in those loans as well as those of the borrowers,” the Freddie spokeswoman said. A Fannie spokeswoman declined to elaborate. A lawyer for Mr. Stern didn’t immediately respond to inquiries. A Virginia lawmaker asked the state’s attorney general to launch an investigation of Mortgage Electronic Registration Systems, the middleman firm in millions of court filings that helps keep the mortgage-securitization machine moving. Robert G. Marshall, a Republican member of the Virginia House of Delegates, requested that Virginia Attorney General Ken Cuccinelli determine whether the Reston, Va., company violates state law because it doesn’t pay a fee every time a loan changes hands. Opinions differ as to whether MERS must pay local fees every time it sells an interest in a loan. R.K. Arnold, MERS’s chief executive, said the company’s activities are legal in all 50 states and have held up under previous scrutiny. The challenge is the latest sign lawmakers and lawyers for borrowers are taking aim at MERS as the foreclosure mess drags on. Created 13 years ago by Fannie Mae, Freddie Mac and several large U.S. banks as an electronic registry of land records, the company’s name is listed as the agent for mortgage lenders on documents for 65 million home loans. But that same streamlining has made MERS a target of critics who say the company might not have the legal right that it claims to foreclose on borrowers. In a state-court lawsuit filed in Georgia last week seeking class-action status, lawyer David Ates says MERS isn’t a secured creditor, meaning it lacks the power to foreclose on behalf of lenders, mortgage servicers or other parties. Mr. Arnold said the company’s role in foreclosing on a mortgage is unquestionable because every time a loan is registered with MERS, the borrower must sign a document saying the company assumes all rights and responsibilities on behalf of the creditor or lender. Tom Kelly, a spokesman for J.P. Morgan Chase, said last month that the New York bank hasn’t used the MERS record-keeping system since at least 2008 to foreclose in the bank’s name because “some local courts wouldn’t accept MERS.” J.P. Morgan still uses MERS for mortgages originated by other banks or brokers. Like homeowners walking away from mortgaged houses that plummeted in value, some of the largest commercial-property owners are defaulting on debts and surrendering buildings worth less than their loans. Companies such as Macerich Co., Vornado Realty Trust and Simon Property Group Inc. have recently stopped making mortgage payments to put pressure on lenders to restructure debts. In many cases they have walked away, sending keys to properties whose values had fallen far below the mortgage amounts, a process known as “jingle mail.” These companies all have piles of cash to make the payments. They are simply opting to default because they believe it makes good business sense. “We don’t do this lightly,” said Robert Taubman, chief executive of Taubman Centers Inc. The luxury-mall owner, with upscale properties such as the Beverly Center in Los Angeles, decided earlier this year to stop covering interest payments on its $135 million mortgage on the Pier Shops at Caesars in Atlantic City, N.J.
Taubman, which estimates the mall is now worth only $52 million, gave it back to its mortgage holder. “Where it’s fairly obvious that the gap is large, as it was with the Pier Shops, individual owners are making very tough decisions,” he said. These pragmatic decisions by companies to walk away from commercial mortgages come as a debate rages in the residential-real-estate world about “strategic defaults,” when homeowners stop making loan payments even though they can afford them. Instead, they decide to default because the house is “underwater,” meaning its value has fallen to a level less than its debt. Banking-industry officials and others have argued that homeowners have a moral obligation to pay their debts even when it seems to make good business sense to default. Individuals who walk away from their homes also face blemishes to their credit ratings and, in some states, creditors can sue them for the losses they suffer. But in the business world, there is less of a stigma even though lenders, including individual investors, get stuck holding a depressed property in a down market. Indeed, investors are rewarding public companies for ditching profit-draining investments. Deutsche Bank AG’s RREEF, which manages $56 billion in real-estate investments, now favors companies that jettison cash-draining properties with nonrecourse debt, loans that don’t allow banks to hold landlords personally responsible if they default. The theory is that those companies fare better by diverting money to shareholders or more lucrative projects. “To the extent that they give back assets or are able to rework the [mortgage] terms, it just accrues to the benefit” of the real-estate investment trust, says Jerry Ehlinger, RREEF’s co-chief of real-estate securities. Statute of Limitations coming for Foreclosures? As Congress moves to finalize new financial regulations, the mortgage industry is working to soften a series of provisions that reshape how most Americans obtain home loans. The provisions in the legislation seek to eliminate questionable practices that proliferated during the housing boom by outlining clear underwriting standards, holding lenders more responsible for loans, and changing the way loan originators are paid. In addition, consumers would get new rights to seek damages when the mortgage process goes awry. Industry officials are trying to limit their liability on new consumer-friendly provisions while pushing for greater flexibility on rules that aim to improve underwriting standards by forcing the original mortgage lender to keep a stake in the loan. A panel of lawmakers reconciling the differences between the House and Senate bills is set to take up the mortgage provisions on Tuesday. Both bills would require lenders to retain a 5% stake in loans that are bundled with others and sold in pieces to investors. The idea is that if lenders hold on to a stake, they are more likely to make sound loans. Lenders want to secure a provision, included in the Senate bill, to exempt mortgages that meet certain underwriting standards from the risk-retention requirement that they keep 5% of loans they sell off. Such loans would have to fully document a borrower’s income and assets and couldn’t include features such as interest-only payments, negative amortization or balloon payments. Loans would also have to cap certain mortgage-origination fees at 3% of the loan. Risk-retention rules are likely to raise the costs of making loans because banks will be required to hold more capital, a particular challenge for smaller lenders. While consumer groups generally support exceptions for certain loans perceived as safer, some analysts say the provision would effectively promote certain loan types over others. “One thing that disappoints me is that it revives the fetish of the traditional, fixed-rate, 30-year loans … without examining any of the risks of those loans,” such as higher interest-rate costs, said Todd Zywicki, a professor of law at George Mason University in Fairfax, Va. Already, both bills would limit the ability of mortgage lenders to charge borrowers fees if they refinance or pay off their loans early. The proposed legislation would also require lenders to ensure that borrowers can repay their loans and to prove that any refinancing provides a “net tangible benefit” to the borrower. The industry wants to limit lenders’ legal liability when they make loans that meet the new standards. “If you comply with the provisions in the law…the borrower shouldn’t be able to challenge you later on,” said Glen Corso, managing director of the Community Mortgage Banking Project, which represents independent nonbank mortgage lenders. Consumer groups oppose efforts to weaken the ability of borrowers to take legal action if they believe lenders have run afoul of the new rules. Lenders also want to limit the amount of time that borrowers can dispute a foreclosure if they later find that their loan didn’t satisfy the new standards. Right now, the bill doesn’t include a statute of limitations on those claims. Consumer groups say time limits shouldn’t be added because some loans could contain features that don’t take effect for several years. But lenders say that a loan that defaults long after its origination isn’t likely to fail because of underwriting defects. All together, the measures should lead banks to become more diligent about documenting a borrower’s income and assets. While that will curtail the abuse of “liar’s loans” that saw many borrowers and brokers report false incomes on loan applications during the past decade, the tougher standards could make it harder or more expensive for self-employed borrowers to get a loan. Another key provision in the bill would change the compensation model for loan originators and mortgage brokers to prevent them from steering borrowers into loans with a higher rate. The bill would bar lender-paid commissions based on the rate or type of loan; origination costs would have to be paid upfront or over the life of the loan in a higher rate, but not a mix of both. Brokers say that the rule would make it harder for them to compete with banks and that it would reduce competition, raising costs for consumers. “Most mortgage brokers will have to charge their fees upfront, which means the competitive landscape just shifted to banks and lenders,” said Roy DeLoach, chief executive of the National Association of Mortgage Brokers. Consumer advocates say the changes will make it easier for borrowers to shop for loans and compare prices. The new provisions will shift the burden of proof “from the consumers having to protect themselves from unreasonable fees to the providers of services justifying their costs,” said Barry Zigas, director of housing policy for the Consumer Federation of America. “The whole market should be much safer now,” said Julia Gordon, senior policy counsel at the Center for Responsible Lending. Meanwhile, brokers and real-estate-industry lobbyists want to relax new home-valuation rules imposed last year to ensure appraiser independence. Those rules bar mortgage brokers and loan officers from selecting appraisals by requiring the use of third-party appraisal management firms. Many banks, which own or have stakes in those firms, oppose the effort to alter the rules, as do consumer groups that say any attempt to weaken them could lead to appraisal fraud. But brokers and real-estate agents say the rules have produced unrealistic appraisals from individuals who aren’t familiar with specific neighborhoods. Brokers say a new system should be created that allows them to order appraisals without being able to select the actual appraiser, and that consumers should be free to use an appraisal ordered by one lender even if they decide to get a loan from a different lender. ABERDEEN TOWNSHIP, N.J.—The government’s civil-fraud allegation against Goldman Sachs Group Inc. centers on a deal the firm crafted so that hedge-fund king John Paulson could bet on a collapse in U.S. housing prices. It was a dizzyingly complex transaction, involving 90 bonds and a 65-page deal sheet. But it all boiled down to whether people like Stella Onyeukwu, Gheorghe Bledea and Jack Booket could pay their mortgages. They couldn’t, and Mr. Paulson made $1 billion as a result. David Lau for The Wall Street Journal A $652,500 mortgage on this home in Middletown, N.J., was among the nearly 500,000 loans, spread across 48 states and the District of Columbia, on which investors in Abacus made their bets. Mr. Booket, a 44-year-old heating and air-conditioning repairman, owed $300,000 on his three-bedroom home in Aberdeen Township. His house was one of thousands that wound up in a pool of mortgages that were referenced in the so-called collateralized debt obligation, or CDO, which Goldman created for Mr. Paulson. The hedge-fund manager invested heavily in a form of insurance that could yield huge gains if the borrowers grew unable to pay. In 2006, Mr. Booket got hit by a car while riding a motorcycle from a late-night party, was unable to find much work and couldn’t pay the bank. In October 2008, he lost the house to foreclosure and plans to move out by next week. He says he bears no grudge against Mr. Paulson and Goldman. More than half of the 500,000 mortgages from 48 states contained in the Goldman deal—known as Abacus 2007-AC1—are now in default or foreclosed. Mr. Paulson didn’t have any direct involvement in the mortgages contained in the Goldman deal under scrutiny by the Securities and Exchange Commission. And the bets that Mr. Paulson placed on Abacus didn’t affect whether or not homeowners defaulted. Rather, he used Wall Street to help structure hugely lucrative side bets that homeowners such as Mr. Booket couldn’t make their monthly mortgage payments. One loser in the deal, German bank IKB Deutsche Industriebank AG, saw most of its $150 million Abacus investment evaporate. It had believed that borrowers broadly could afford the loans. The bank says it is cooperating with the SEC’s inquiry. Some of the people whose mortgages underpinned Mr. Paulson’s wager were themselves taking a gamble—that U.S. housing prices would continue to march upward, making it possible for them to eventually pay off loans they couldn’t afford. The Wall Street Journal identified homeowners in the Abacus portfolio by taking the 90 bonds listed in a February 2007 Abacus pitchbook and matching them with court records, foreclosure listings, title records and loan servicing reports. The bonds contained nearly 500,000 mortgage loans. One mortgage in the Abacus pool was held by Ms. Onyeukwu, a 43-year-old nursing-home assistant in Pittsburg, Calif. Ms. Onyeukwu already was under financial strain in 2006, when she applied to Fremont Investment & Loan for a new mortgage on her two-story, six-bedroom house in a subdivision called Highlands Ranch. With pre-tax income of about $9,000 a month from a child-care business, she says she was having a hard time making the $5,000 monthly payments on her existing $688,000 mortgage, which carried an initial interest rate of 9.05%. Nonetheless, she took out an even bigger loan from Fremont, which lent her $786,250 at an initial interest rate of 7.55%—but that would begin to float as high as 13.55% two years later. She says the monthly payment on the new loan came to a bit more than $5,000. She defaulted in early 2008 and was evicted from the house in early 2009. Fremont didn’t respond to requests for comment. In early 2007, Paulson was identifying different bonds from across the country that it wanted to place bets against. Paolo Pellegrini, Mr. Paulson’s right-hand man, began working with Goldman trader Fabrice Tourre to choose bonds for the Abacus portfolio, say people familiar with the deal. Abacus was a “synthetic” CDO, meaning that it didn’t contain any actual bonds. Rather, it allowed Paulson’s firm to buy insurance on bonds it didn’t own. If the bonds performed well, Paulson would make a steady stream of small payments—much like insurance premiums. If they performed poorly, Paulson would receive potentially large payouts. According to the SEC complaint, Mr. Paulson especially wanted to find risky subprime adjustable-rate mortgages that had been given to borrowers with low credit scores who lived in California, Arizona, Florida, and Nevada—states with big spikes in home prices that he reckoned would crash. Mr. Pellegrini and a colleague had purchased an enormous database capable of tracking the characteristics of more than six million mortgages in various parts of the country. They spent long hours scouring it all, according to people familiar with the matter. The home mortgage of Gheorghe Bledea was among those that wound up in the Abacus portfolio. In May of 2006, a broker had approached Mr. Bledea, a Romanian immigrant, to pitch him a deal on a loan to refinance the existing mortgage on his Folsom, Calif., home. Mr. Bledea, who is suing his lender in Superior Court of California in Sacramento on allegations that he was defrauded, wanted a 30-year fixed-rate loan, according to his complaint. His broker told him the only one available was an adjustable-rate mortgage carrying an 8% interest rate, according his court filing. Mr. Bledea, who says he has limited English-speaking skills, was told that he’d be able to exit the risky loan in six months and refinance into yet another one carrying a lower 1% rate. Mr. Bledea agreed to take out the $531,000 loan on July 21, 2006. The new loan never materialized. Within months, Mr. Bledea and his family were struggling under the weight of a $5,800 monthly note, says his son, Joe Bledea. “We were putting ourselves in a lot of debt,” Joe Bledea says. By spring of 2009, the loan was in default. The elder Mr. Bledea is now appealing to the court to avoid eviction from his ranch-style house, says family attorney Will Ramey. The deal in which Goldman Sachs, according to the SEC, defrauded some of its investors made hedge-fund king John Paulson a billion dollars. It all pivoted on hundreds of thousands of ordinary homeowners defaulting on their mortgages. WSJ’s Anton Troianovski reports. The loan, underwritten by Washington Mutual, itself had moved through the U.S. mortgage machine. It was put into a debt pool, or residential-mortgage backed security, with the arcane name of Long Beach Mortgage Loan Trust 2006-8. A spokesman for J.P. Morgan Chase & Co., which acquired WaMu in September of 2008, said the bank was unable to comment on the loan. By mid-October of 2007, just seven months after Abacus was formed, 83% of the bonds in its portfolio had been downgraded. By then, sheriff departments across the U.S. were seizing homes and putting them up for sale at public auction as souring Abacus-related loans metastasized. In Dayton, Ohio, a two-story home that served as collateral for Abacus now stands empty. The house was purchased for $75,000 in 2006 by a borrower who used a subprime loan from a California-based mortgage bank. That $67,500 loan was placed into a pool called Structured Asset Investment Loan Trust 2006-4, which underpinned Abacus. After the borrower defaulted, the trust acquired the home through foreclosure in October 2007 and resold it to an investor in April 2008 for $7,500, a tenth of the price paid two years before. Neighbor Lonnie Ross, sitting on the porch Tuesday morning while enjoying a cigarette, says most homes on the block are vacant or occupied by squatters. Inside the unoccupied house, which is missing its front door knob, hardwood floors are strewn with old bills. A fake Christmas tree is still decorated with candy canes. Instant pudding and other discarded food litters the kitchen. Dirty dishes are soaking in a sink. 4:15John Paulson, the hedge-fund manager famous for betting against mortgage securities, is now bullish on the U.S. housing market and the economy. MarketWatch reporter Alistair Barr has details. But not all homes have gone south. In a wealthy Denver neighborhood, neighbors are thrilled that Joel Champagne rescued a house on East Alameda Circle, where a previous mortgage was contained in the Abacus deal via a pool called First Franklin Mortgage Loan Trust 2006-FF9. Mr. Champagne bought the home last year for $370,000. The prior owner, according to title records, had paid $1.2 million, borrowing the entire amount from First Franklin. The owner had started on a renovation and then vanished, says Mr. Champagne and neighbors, leaving the home with no plumbing, wiring or roof shingles. Today, kids’ chalk drawings are scrawled across the drive and hyacinths are starting to peep through the flower beds. —Stephanie Simon, James R. Hagerty, Serena Ng, Cari Tuna contributed to this article. Before the great article AMIR EFRATI and CARRICK MOLLENKAMP wrote in The Wall Street Journal called U.S. Probes Foreclosure-Data Provider:Lender Processing Services Unit Draws Inquiry Over the Steps That Led to Faulty Bank Paperwork and then my post LENDER PROCESSING SERVICES (LPS) Hits Local NEWS!, many recall the BOGUS ASSIGNMENTS 2…I’m LOVING this!! LPS DOCx ADMISSIONS SEC 10K ROOFTOP SHOUT OUT! & BOGUS ASSIGNMENTS 3…Forgery, Counterfeit, Fraud …Oh MY! posts. Lynn Szymoniak, ESQ. of Fraud Digest precise skills unraveling this massive scheme has placed spot lights and raised many eyebrows on Foreclosure Mill’s strategies and what they are fabricating with the help of LPS on the courts. One can read EXTRA! EXTRA! Read All about the misconduct of Lender Processing Services f/k/a FIDELITY a/k/a LPS and Fidelity’s LPS Secret Deals With Mortgage Companies and Law Firms to witness some cases of alleging fraud. Lynn recently wrote an Open Letter to Honorable Judges in Foreclosure and Bankruptcy Proceedings. Lender Processing Inc. is the TIP of The Pyramid; please click the link to see their admission to this whole scheme of fraud in question. As it turns out Big Brother has been watching! Anyone want shares NOW?? Goldman had met with LPS on 2/23 in a GS’s Tecnology and Internet Confrence Presentation. In turn of events following the Wall Street Journal story and amongst many other media articles displaying LPS’s on-going investigations, Brian Chip’s article on SmarTrend identified a Downtrend for Lender Processing Services (NYSE: LPS) on March 31, 2010 at $38.26 stating “In approximately 2 weeks, Lender Processing Services has returned 3.3% as of today’s recent price of $36.99. Lender Processing Services is currently below its 50-day moving average of $38.94 and below its 200-day moving average of $37.98. Look for these moving averages to decline to confirm the company’s downward momentum”. Then two days later LPS (NYSE: LPS) climbed 1.16% to $37.42 after Goldman Sachs upgraded the company’s share from Neutral to Buy with an one year price target of $48. How lucky right? So I guess GS has every right to upgrade LPS since their last meeting with them on possible involvement. But the world is now well aware of GS’s shenanigans thanks to LOUISE STORY and GRETCHEN MORGENSON’s article in the New York Times U.S. Accuses Goldman Sachs of Fraud: THE NEW YORK TIMES, According to the complaint, Goldman created Abacus 2007-AC1 in February 2007, at the request of John A. Paulson, a prominent hedge fund manager who earned an estimated $3.7 billion in 2007 by correctly wagering that the housing bubble would burst. Should we put any vailidity into their ratings or upgrades? NOT! The good thing that came along the 10’s of thousands of visits within the last month, this blog has been used in several court houses. Joining efforts along with 4closurefraud’s beautifully WRITTEN IN WEASEL, SO GET OUT YOUR DICTIONARY OF WEASELEASE – FNF, FIS, DOCX, LPS and ForeclosureHamlet’s amazing article Stopping A Defective Title Wave With A Coupla Outstretched Helping Hands. They have knocked on doors, got media attention and ran with Homeowners and Attorneys Meet in Tallahassee To Celebrate Homeowner Rights And The Rule of Law with the help of attorney’s Matthew Weidner, Thomas Ice and others! Today I am happy to say progress is in the making! We are being heard LOUD & CLEAR! Actual Court Filings throughout the nation of BOGUS Filings Below! STOP THESE UNLAWFUL FORECLOSURES FROM CONTINUING ASAP. SEND THIS TO EVERYONE YOU KNOW! Now you know when the Law Offices of David J. Stern reaches the Wall Street Journal, we certainly are getting our point A C R O S S! Thank You AMIR! A Florida state-court judge, in a rare ruling, said a major national bank perpetrated a “fraud” in a foreclosure lawsuit, raising questions about how banks are attempting to claim homes from borrowers in default. The Florida case began in December 2007 when U.S. Bank N.A. sued a homeowner, Ernest E. Harpster, after he defaulted on a $190,000 loan he received in January of that year. The Law Offices of David J. Stern, which represented the bank, prepared a document called an “assignment of mortgage” showing that the bank received ownership of the mortgage in December 2007. The document was dated December 2007. But after investigating the matter, Circuit Court Judge Lynn Tepper ruled that the document couldn’t have been prepared until 2008. Thus, she ruled, the bank couldn’t prove it owned the mortgage at the time the suit was filed. The document filed by the plaintiff, Judge Tepper wrote last month, “did not exist at the time of the filing of this action…was subsequently created and…fraudulently backdated, in a purposeful, intentional effort to mislead.” She dismissed the case. Forrest McSurdy, a lawyer at the David Stern firm that handled the U.S. Bank case, said the mistake was due to “carelessness.” The mortgage document was initially prepared and signed in 2007 but wasn’t notarized until months later, he said. After discovering similar problems in other foreclosure cases, he said, the firm voluntarily withdrew the suits and later re-filed them using appropriate documents. Steve Dale, a spokesman for U.S. Bank, said the company played a passive role in the matter because it represents investors who own a mortgage-securities trust that includes the Harpster loan. He said a division of Wells Fargo & Co., which collected payments from Mr. Harpster, initiated the foreclosure on behalf of the investors. Since the housing crisis began several years ago, judges across the U.S. have found that documents submitted by banks to support foreclosure claims were wrong. Mistakes by banks and their representatives have also led to an ongoing federal criminal probe in Florida. Some of the problems stem from the difficulty banks face in proving they own the loans, thanks to the complexity of the mortgage market. Lawyers operating foreclosure mills often are paid based on the volume of cases they complete. Some receive $1,000 per case, court records show. Firms compete for business in part based on how quickly they can foreclose. The David Stern firm had about 900 employees as of last year, court records show. “The pure volume of foreclosures has a tendency perhaps to encourage sloppiness, boilerplate paperwork or a lack of thoroughness” by attorneys for banks, said Judge Tepper of Florida, in an interview. 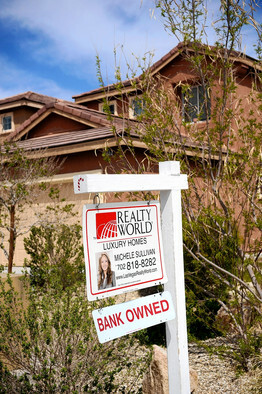 The deluge of foreclosures makes the process “fraught with potential for fraud,” she said. At an unrelated hearing in a separate matter last week, Anthony Rondolino, a state-court judge in St. Petersburg, Fla., said that an affidavit submitted by the David Stern law firm on behalf of GMAC Mortgage LLC in a foreclosure case wasn’t necessarily sufficient to establish that GMAC was the owner of the mortgage. “I don’t have any confidence that any of the documents the Court’s receiving on these mass foreclosures are valid,” the judge said at the hearing. A spokesman for GMAC declined to comment and a lawyer at the David Stern firm declined to comment. OVERRULED!!! Florida Judge Reverses His own Summary Judgment Order! We are looking at tens of billions of taxpayer dollars again being funneled to the very banks behind the mortgage crisis. Today President Obama announced an expansion and modification of his Home Affordable Modification Program (HAMP). While one can debate the merits of incentives to keep unemployed families in their homes while they search for jobs — I personally believe this will more often than not keep those families tied to weak labor markets — what should be beyond debate is the various bailouts to mortgage lenders contained in the program’s fine print. Several of the largest mortgage lenders, including some that have already received huge bailouts, carry hundreds of billions worth of second mortgages on their books. As home prices have nationally declined by almost 30 percent, these second mortgages are worthless in the case of a foreclosure. 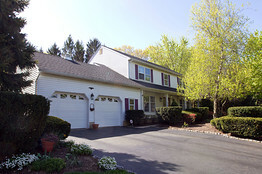 Second mortgages are usually wiped out completely during a foreclosure if the price has decreased more than 20 percent. Yet the Obama solution is now to pay off 6 cents on the dollar for those junior liens. While 6 cents doesn’t sound like a lot, it is a whole lot more than zero, which is what the banks would receive otherwise. Given that the largest lenders are carrying over $500 billion in second mortgages that may need to be written down, we are looking at tens of billions of taxpayer dollars again being funneled to the very banks behind the mortgage crisis. If that bailout isn’t enough, the new plan increases payments to lenders to not foreclose, all at the expense of the taxpayer. While TARP was passed under Bush’s watch, and he rightly deserves blame for it, Obama continues these bailouts in the name of avoiding a much needed correction in our housing market.